In 1938 Robert Klippel joined the Armed Forces Reserves. When war broke out the following year he was called up to the Navy. 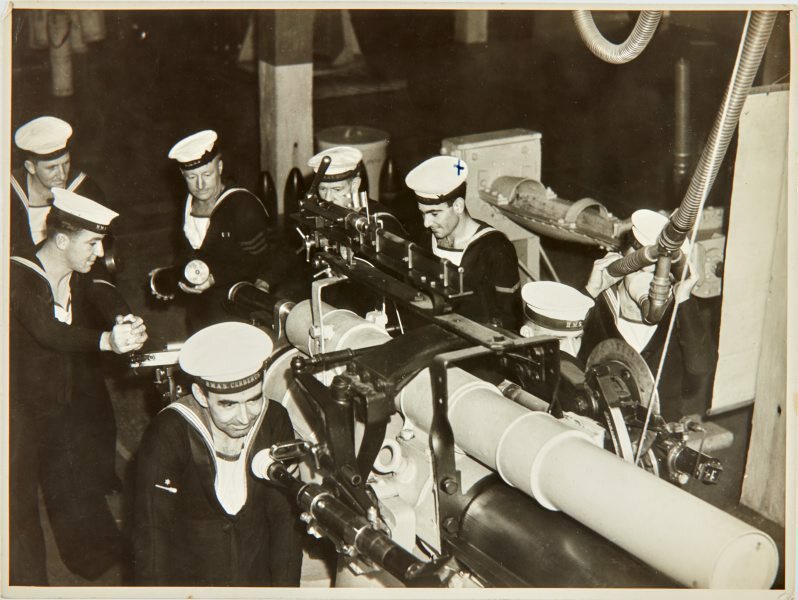 After initial training he was drafted onto the minesweeper HMAS Bombo, based at Storm Bay Hobart. Later Klippel was attached to the DEMS (Defensively Equipped Merchant Ships) and drafted onto a Norwegian tanker which ran between Australia and the Middle East. This photograph may have been taken during that time. Klippel is pictured third from the right. Signed and dated u.l. corner, verso, ink "Robert Klippel/1944".